GamerGate from its beginning a year ago seemed touched by lunacy, and that was borne out when bomb threats forced the abrupt closure of a video-game program in Miami. The Society of Professional Journalists event AirPlay aimed to pin down the social-media campaign GamerGate – whether it’s about journalism ethics and accurate reporting about the video-game industry, attacks on women in the male-dominated industry, or resistance to political correctness and censorship. Or something else. The conference goal was to “make a good gaming press better, or a bad gaming press good,” said Michael Koretzky, an SPJ regional director who organized and moderated. The conference “concocted some novel yet practical ideas for achieving that,” he said, such as an SPJ award for games journalism or recruiting games media critics. 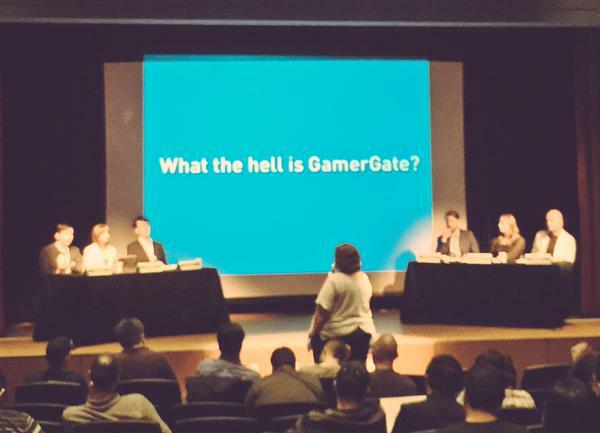 Topics included plagiarism, fabrication, anonymity, fair reporting and the performance of Gamer writers. Koretzky asked about a “troll patrol,” how to vet or write about their social-media statements, and how to expose anonymous digital mischief-makers. Then it all ground to a halt. Miami police cleared the building after a series of bomb threats, UPI reported. Breitbart.com reported that the event got 10 bomb threats before police stopped the program and moved participants out of the building and into the streets. Koretsky said two separate conferences in the building drew about 135 participants, of which about 60 attended the AirPlay event. 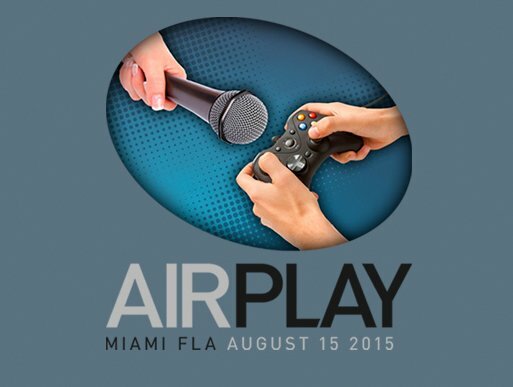 AirPlay was supposed to teach us something about GamerGate. AdviceLine asked Koretzky what the abbreviated conference taught him. Such threats are not new to GamerGate. Earlier this year a bomb threat cleared 300 people from a Washington, D.C., event aimed at GamerGate supporters. And Anita Sarkeesian, creator of a video series of pop-culture critiques, canceled an appearance at Utah State University last year because of the threat of a mass shooting. AdviceLine asked Koretzky if continued threats of violence prove that some of those GamerGate folks really are nuts. And what else did he learn from the event? As for his next move, Koretzky said he’s considering hosting a feminism-and-media debate. Mark Samenfink, a lifelong gamer, wrote that he was frustrated by the way the Miami GamerGate event ended. Did the gaming press cover the event? GamerGate Revisited: Is It Really About Journalism Ethics? Is GamerGate about ethical violations in video-game journalism? Or is GamerGate just a smokescreen for harassing women who want to work in the male-dominated gaming industry? A live-streamed debate will sort it out Aug. 15 in Miami. Elements in the controversy include the $15 billion video game industry, the video game press, game reviewers, developers, commentators and those who sell advertising in gaming magazines. It’s a volatile mixture. Michael Koretzky, a regional director for the Society of Professional Journalists, organized the conference and will moderate. His region covers Alabama, Georgia, Florida and South Carolina. Sponsors are the region and SPJ Florida. What’s the point of video game debate? Consumer reviews pose valid ethical issues, but not this one. Critics are prepared to justify their opinions, but shouldn’t be forced to defend their livelihoods, much less their lives. Yet that’s the challenge now facing video game reviewers, and it’s a struggle that tests the maturity of their industry. Threats against cultural critic Anita Sarkeesian brought the issue mainstream attention. An anonymous email warned Utah State University administrators of a shooting massacre at her speech on women in video games. She canceled the appearance. It’s hard not to identify with that dilemma. But when I circulated the New York Times report on Sarkeesian’s cancelation, the Twitter response was harsh. “Oh boo hoo,” one wrote, “those terrible, count them, ZERO, attacks on hated busybody con artists.” That suggests the level of the “GamerGate” debate. No regrets from this editor if the mayhem stays at zero. I’m trained to keep writers safe. Mostly reporters want an editor to check their facts and their logic; reviewers need a sounding board. We may even disapprove of what our critics say. Yet editors defend their right to say it. Must we defend to the death?